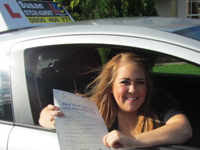 Please please please go with Susan for driving lessons. She is the most caring, compassionate and patient instructor. I could not have done this without her support and guidance. Would highly recommend Susan as an instructor. The best person you could learn with. 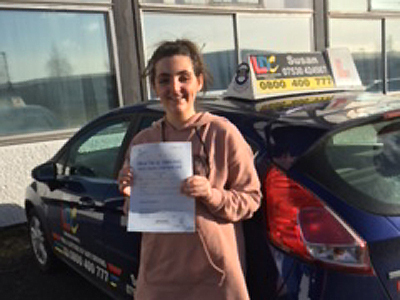 From starting as such a nervous driver, Susan has helped me to become so much more confident and taught me everything I’ll ever need to know to be a great driver! I can’t thank Susan enough for all her help. 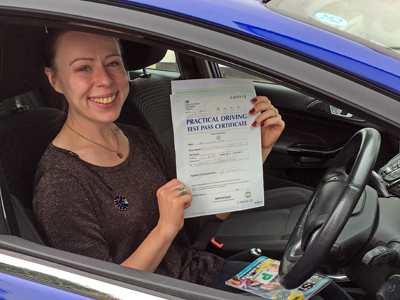 From my first driving lesson to passing my test, she constantly reassured and encouraged me, particularly when I was losing confidence. I found it really beneficial when Susan made me reflect on what I did well and what areas I needed to develop/work on as this helped give me focus for my next lesson. 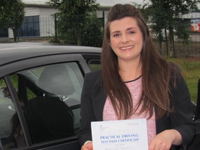 Her advice and teaching as a whole has been second to none and I can not recommend her enough as a driving instructor! Thank you for everything Susan. Susan was a great driving instructor. She was always calm and organised. Susan was very positive throughout my learning. I found the LDC workbook very helpful to my learning and in a very organised way. Learning with Susan has been brilliant. Lessons were never dull and always enjoyable. I always felt comfortable with Susan and was able to ask any questions no matter how silly I might have thought they were. Susan allowed me to feel relaxed and always calmed my nerves. Her commitment and unwavering confidence in me encouraged me to persevere no matter the challenge. The LDC workbook and online material were great tools for understanding and practicing the theory elements as well as ensuring a better understanding of manoeuvres. 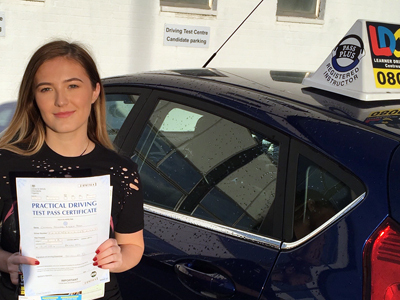 Without Susan, passing my test would have been impossible – I can never thank you enough! I really liked the LDC workbook. It had everything inside that I needed to know about driving. Susan was brilliant in answering any questions I had,no matter how small. We went at a pace that was very well suited to me. 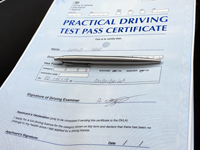 The online learning hub for the theory test was very beneficial as there was a lot of practice tests that had all the necessary learning information. Overall I had a great experience driving with Susan and I would 100% recommend learning with her. What a relief! A weight of my shoulders!! 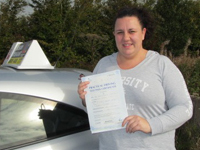 Having had previous troubles with my driving instructors, Susan really helped me re-gain my confidence in driving. Susan gave me a greater understanding and more confidence in myself. 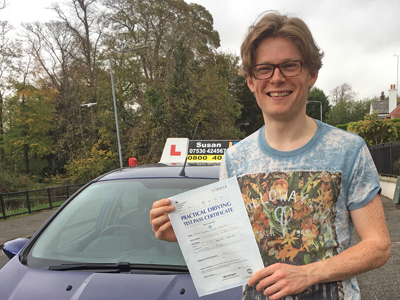 I cannot thank you enough for seeing me through my recent driving test, which I could not have done without your wonderful instruction. I appreciate the fact that you made the effort to find out what was involved and the lucid manner with which you imparted your instruction certainly eased my path to success. Your calm and relaxed methods gave me a great deal of confidence and made what could have been a nerve-racking experience into a "piece of cake" Many thanks again. I think I might take up rally driving now!!! I thoroughly enjoyed learning with Susan. She was very good at explaining everything during my lessons. I initially started my lessons a year prior but didn't continue due to work commitments. 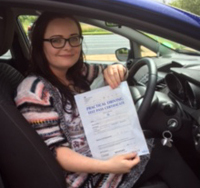 It was very easy coming back to driving lessons with Susan and I passed within months - first attempt. My instructor was very helpful when I needed her the most. 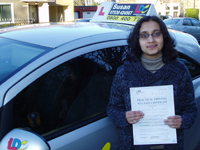 In my first ever lesson, Susan was very friendly and patient when I was slow to start with. The Workbook helped me very much as it gave me a visual of the concepts that Susan was explaining to me. 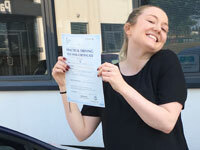 Overall I absolutely loved Susan being my instructor and I would recommend Susan and LDC if anyone is looking for a patient, considerate and lovely instructor. Susan has been a brilliant help. She always ensured that all my skills were perfected. She was always very patient with me and allowed me all the time I needed to learn and understand, getting me a first time pass. I was given all the materials needed to help me with my driving. Having had two instructors prior to Susan, I noticed Susan took a different approach. She did not teach parrot fashion but ensured I had an understanding and allowed me to think things out for myself. The best instructor!! Susan has been an excellent instructor. She provided so much continual support during my lessons. I knew I could ask her any questions whenever I was unsure. She made me feel at ease when I was nervous. 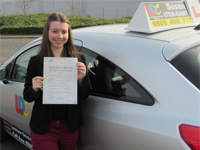 I have told all my friends about her and would recommend her to any new driver who wants the best instructor there is! The LDC workbook provided excellent information and allowed me to organise and plan my lessons effectively. I would not be driving today without the expert tuition of Susan. 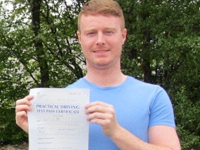 My self confidence as a mature driver was close to zero and I doubted i could pass my test. Susan never doubted me once! Susan is extremely patient, has a natural ability to explain things in an uncomplicated way and was flexible to fit my lessons around my work schedule. She made it a pleasure to learn to drive and we had a lot of laughs along the way. Definitely a 10!" My instructor was very thorough and helpful. Susan would always invite you to ask questions you wanted, always make you feel welcome and relaxed and always managed to make every lesson extremely enjoyable no matter how nervous or tired you feel. "I don't believe it! 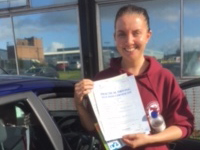 Gold" First I want to say how good an instructor Susan has been. 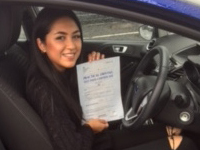 She has been patient with me, let me learn at my own pace and excellent at ironing out any bad driving habits. 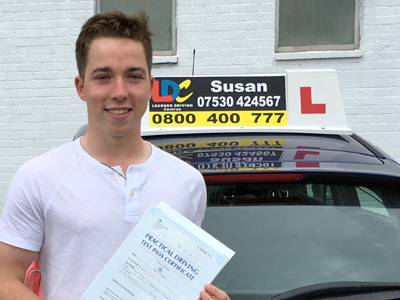 I thoroughly enjoyed learning to drive with Susan and will miss our lessons. I also found the LDC resources extremely helpful, especially the workbook. I feel now I have all the skills to be a proficient driver. Thank you Susan and I'll see you out on the road. Amazing, could not have asked for anyone better. Patience of a saint. I have been on and off with lessons and through everything, Susan has been so kind, patient and accommodating with my schedule. Honestly delighted I found Susan for lessons. Skills for life. I feel safe and ready to be out driving. 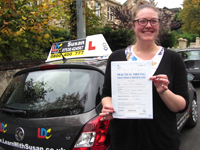 Susan is an absolute credit to the profession and LDC, anyone would be truly lucky to learn with her, driver for life. Can't thank you enough Susan for everything, it has been a long process but great craic and lots of fun. I would like to thank Susan for her help and encouragement. 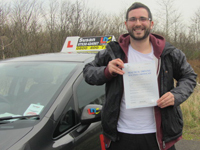 I really enjoyed my driving lessons and using the LDC workbook and DVD gave me a good understanding about the driving skills I needed to know. 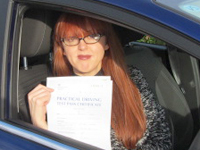 I would highly recommend Susan as a driving instructor due to her calm and methodical approach. Susan is the best instructor I could have asked for. Great confidence builder and takes a lot of time to make you fully understand everything. Very happy! Money well spent! I fully recommend LDC instructor Susan who taught me. She is a great teacher. Will recommend both Susan and LDC to family and friends. 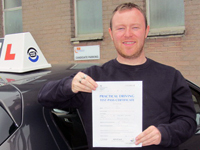 I am chuffed to bits passing today. Susan was very patient and made sure while she pushed me, I was never out my comfort zone. 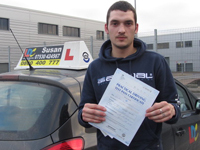 I felt I improved with every lesson and I got my licence first time. Susan, very very good and I'm so glad I came to her rather than anywhere else. I found both the LD skills workbook and DVD very useful. It gave a great breakdown and I got to practice and learn even when not in the car. Susan is a great instructor! She is patient, kind and supportive through it all, always offering honest and constructive criticism, allowing me to learn from mistakes and build my confidence as a driver. The LD workbook was great too helping me to build my knowledge and understanding. Thank you for everything Susan ! 5 stars from me! Susan is amazing. Best instructor ever. She has taken me from knowing very little about driving to knowing everything that I need to be a safe driver for the rest of my life. I would recommend her to anyone. She is brilliant. She puts everything into teaching people to drive and it really shows in her passion for what she does. Thanks so much Susan. Susan is a very nice instructor - very calm and very patient. She is easy to get along with and chat to. I also liked using the skills workbook and DVD. 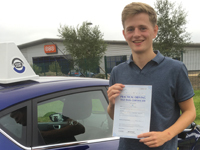 My driving experience has been good - I would recommend. Having stopped lessons for a year I started learning again. Susan identified my weaknesses early and managed to correct them. The workbook was useful, helping me look over my weaknesses, approach speed and observations and memorising the "Show Me, Tell Me" questions. 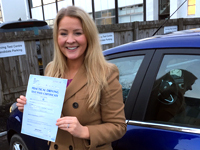 Susan was brilliant in helping me pass my test. I highly recommend her. Susan, you have helped me so much and have been an outstanding instructor. You have been patient and understanding. 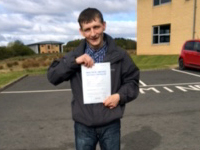 Thanks for all your help over the past four months and helping me get my pass. I found the workbook and DVD really helpful also. I would highly recommend you. I found Susan a very helpful instructor. She was good at helping to keep me calm whilst driving and also today when driving to and whilst on test. I found the workbook and DVD extremely helpful. 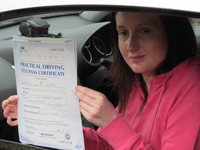 I also used the LDC online theory test which was helpful and also very practical. 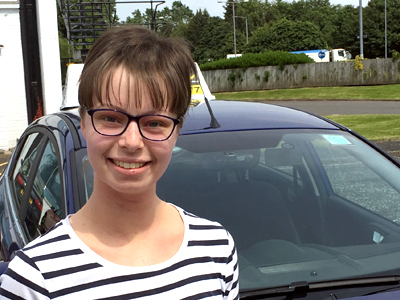 I was so nervous to start driving again after a few years out but Susan helped me feel at ease. She is a brilliant teacher and so easy to talk to. The workbook and DVD were so helpful. The workbook to keep track and reflect on lessons and the DVD helped me go over parts I wasn't sure of. I would definitely recommend Susan to everyone. 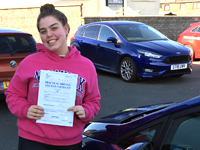 Bailey Clark After coming from a different instructor to Susan, my confidence, knowledge and understanding improved immensely after one lesson as did my knowledge of the car itself. 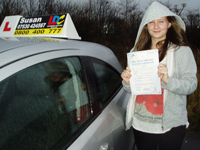 After having a set amount of lessons I felt comfortable with anything I was asked to do. My confidence grew mainly due to how friendly and helpful Susan was. 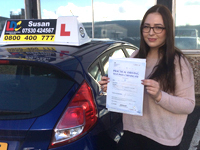 Any driver either young or old I would highly recommend Susan as the Driving Instructor for you. Learning to drive with Susan has been such a pleasure. She has been so patient and understanding. I have loved our lessons and with the support and help, she has given me skills for life. I couldn't ask for a better teacher. The LD Skills workbook has been very helpful. Thank you for everything Susan!! We finally got there Susan! I am extremely grateful that you were the one to teach me to drive. You put me at ease, and allowed me to relax and feel confident in my lessons. It was more like going for a drive with a friend. Thank you for all your support and patience Susan, it was very much appreciated. I couldn’t have done it without you. Learning to drive with Susan was great. 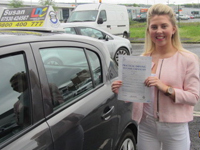 She was extremely helpful and funny which made you feel safe and confident when driving with her. Even when I made mistakes and was getting frustrated she would reassure me and give me the confidence and motivation I needed. She’s a big kid at heart and that’s what makes learning with her so enjoyable! Thanks for all your time and effort when working with me, Susan. I really appreciate it! I couldn't of passed without your help. Thanks again for working with me. Susan what can I say?! Thank you. I had convinced myself that I'd never be able to drive, but with your help, support, patience and kindness I've managed it. The LDC system was great. I used the book, DVD and website and found it very helpful. Being able to revise at home between lessons was really great. I would definitely recommend Susan and LDC. I just wish I hadn't waited so long before starting lessons! Susan what can I say?! Thank you. I had convinced myself that I'd never be able to drive, but with your help, support, patience and kindness I've managed it. The LDC system was great. I used the book, DVD and website and found it very helpful. Being able to revise at home between lessons was really great. 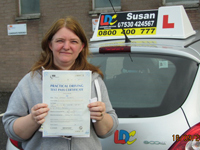 I would definitely recommend Susan and LDC. I just wish I hadn't waited so long before starting lessons! 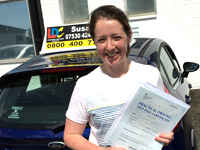 After two failed tests as a teenager with different instructors, and a quite a few years in between, I put my trust in Susan and passed first time under her superb guidance. 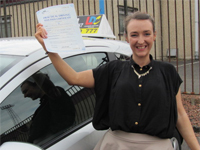 She’s an amazing instructor who built my skills and confidence to become a driver. It’s an epic milestone for me, and I really can’t thank Susan enough. I loved the LDC approach – between the book, videos and Susan’s coaching I was able to learn quickly. My boys will be next Susan! Many thanks again. 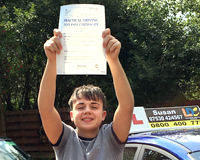 After trying to pass my test a "few" times I finally passed today! Thank you Susan for your constant encouragement and support to get me through the test and for helping me achieve a new life skill. Thank you so much Susan! 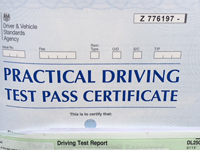 I did not think i would be able to pass my test before I was 40, but I have! The last major hurdle in my life has been cleared! Susan I can't thank you enough for your patience, perseverence and confidence building. I lacked confidence in my ability to do this but you helped me build my confidence and helped me get there. You taught me to drive for life not just to pass the test! Thank you so much. 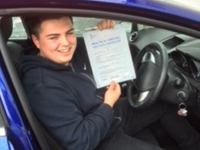 Thank you very much for persevering with me and giving me the confidence to get behind the wheel again. You have helped me achieve a huge goal and i cannot thank you enough. Thank you very much for being so patient with me and so accommodating with lessons. You have taught me a skill for life and i appreciate it. Thanks again. 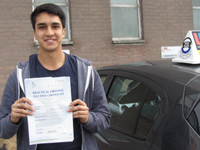 Passed 1st time with only 2 minors! Just to say a massive thank you to Susan. She is the best instructor I have ever had and I would highly recommend her to everyone. Don't go with anyone else!. 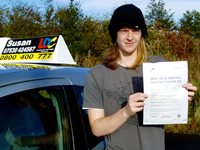 Great teaching methods for new drivers and returning drivers alike. Thank You. Thank you Susan. I passed today. 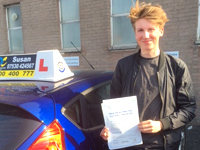 You taught me to drive, not only to pass my driving test but for the future. I have learnt so much from you in a short period of time. 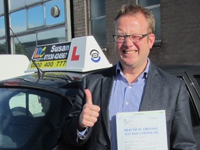 The LDC workbook and videos have been really helpful also especially for my manoeuvres. Thank you and I will recommend you to my friends. Well Susan what a day we have had!! Thank You, Thank You for all your hard work, patience and flexibility, especially around my baby son. I was discouraged after a long drawn out course of lessons and came to LDC and met you. LDC was a great road for me and I have loved the whole experience. I will recommend you to everyone and LDC. I passed today. 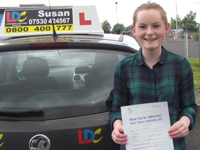 Susan you are born to be a Driving Instructor. You are the best calm and so supportive to me. You are kind, lovely, supportive, professional, you are the best ever. Thank you so much for being in my life and being my driving instructor. I'm going too miss you. Finally passed all thanks to Susan. You have been a great help. Thank you very much. A huge thank you. Your patience, kindness and loads of giggles will be missed. Could not have done it without all your support and excellent teaching. Thank you. 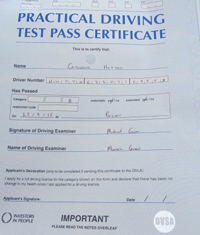 Finally passed my test!!! Susan has been so patient, supportive and kind. Thee were times when I thought I couldn't do this but with Susan's encouragement and support I managed to do it. Thank you! Susan, this has been the most exciting and terrifying experience of my life. I can't thank you enough for everything including putting up with my constant commentary! You have made an old woman very happy! Thank you so much for putting up with me and my nerves. You helped me with a lot and I passed. Thank you sooo much. I will highly recommend you to all my friends and family. As they say, 4 time the charm. It has been a bumpy ride having two instructors but I have got there eventually. 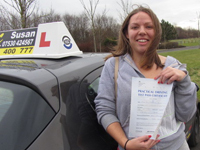 Susan has been a great instructor and has been extremely helpful. She explains everything thoroughly and has always been patient and calm. 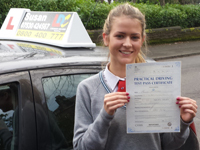 I can't thank her enough for helping me pass and I would highly recommend Susan as a driving instructor. 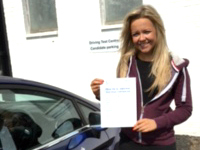 Thanks SO much for being an amazing instructor and helping me pass my test - 1st Time! I am so grateful for your patience and help, as well as having had you teach me. These have been an amazing few weeks and you have my gratitude. Susan, Thank you so very much for all your help! 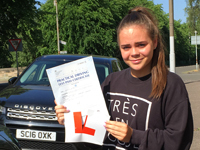 I don't believe I would have passed this quickly and 1st time without all your help. I will definitely recommend you to all my friends! Thanks Rachel. At last!!!! Three truly is my lucky number. Thank you so much Susan for everything and getting me through this ordeal. You are incredibly patient and understanding and made everything easy for me. 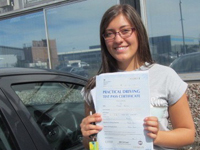 I will undoubtedly recommend you to everyone who is looking to learn to drive. All the best to Sam and good luck with guitar and photography. To pass my test I decided I would definitely need help after living over in Indonesia for 15 years. 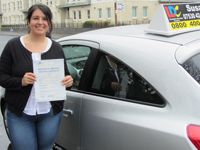 I booked my lessons and met my instructor Susan who was so easy to get along with. Lesson after lesson I learnt new things due to being a new driver on the roads in UK and didn't know much about the round abouts and UK signs. Susan taught me everything I needed to know and made it so easy for me to understand. To be honest I spread out my lessons whilst Susan kept pushing me to take my test. 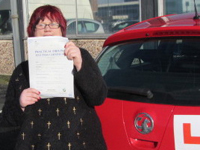 It took time, but so much help from Susan I finally passed my UK driving test on 21.2.14 and I was over the moon. Thank you so much to Susan who stuck by me the whole time, gave me confidence, reassured me that I could do it and taught me everything I needed to know. 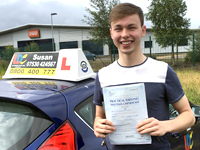 I couldn't of asked for a better driving instructor so helpful and easy to talk to. Susan has the patience of a saint and has been magnificent with me. 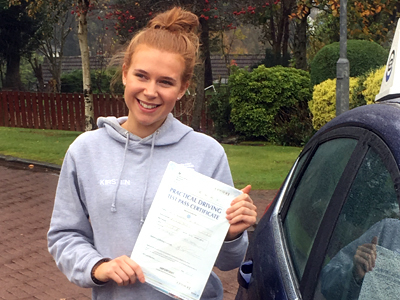 I am now the happiest girl alive - I passed! Thank you Susan. 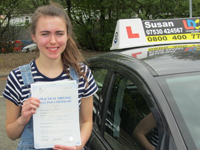 Susan, You have helped me right from the start and helped me pass my driving test. You have been very patient with me and have been an understanding teacher. I am so grateful for having you to teach me over the few months. Thank you very much. 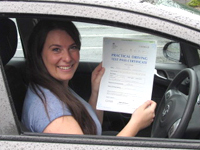 Susan, Thank you so so much for helping me pass my test. You are an outstanding instructor with the patience of a saint. The LDC workbook and DVD are a fantastic help. Thanks again!! 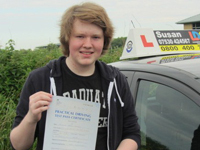 Thanks so much Susan for helping me pass my driving test. 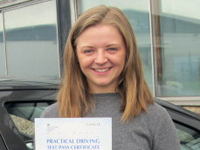 I can't believe I've passed!!! It's been a long journey for me. 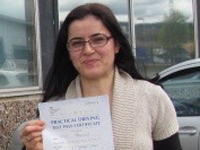 I started the course bit late in my life, with no previous experience and lots of issues. But Susan took me under her wings and removed them slowly one by one, leaving me in high spirits and beaming with confidence. Her friendly, patience and no fuss approach taught me not only how to drive but also how to manage the stressand how to be a more confident person. 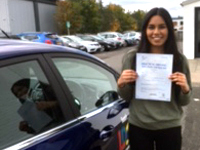 Thank you very much Susan for helping me pass my extended test. I will be booking lessons for my wife. I am grateful to Susan for all the help she has given me. 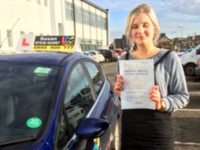 She is the best driving instructor I have had and I felt really comfortable. I would recommend Susan to all my friends. 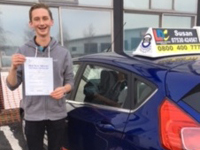 I am glad I have passed my test. I am so happy to have had Susan as an instructor. She has been so helpful and patient with me. Her reference points helped me a great deal. 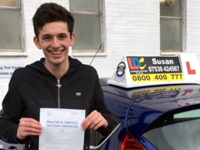 Having had previous instructors and failing my first test, taking lessons with Susan helped me a great amount and I passed after a few lessons. Thank you so much Susan !!! One of the happiest days of my life. Before I forget a BIG THANKYOU Susan. Another step to independence and I will enjoy it sensibly and responsibly with my beautiful and precious daughters Zeynep and Zahide. Lets not forget Susan who has always been there for me and supporting me every step of the way giving me all the help needed. Thanks again. Susan was helpful and supportive and gave me the confidence to pass. 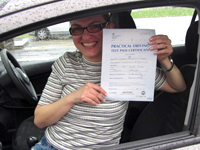 I am delighted that I passed my test today and I am very thankful to Susan and 100% satisfied the way Susan taught me. She is very calm no matter how many mistakes you make and she corrects them without judgement or fuss. Susan gives attention to detail to the way we drive and all the manoeuvres. I am very grateful to have had an Instructor like Susan. I passed my test today. When I started with Susan I had some experience but a lot of bad habits. 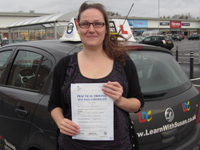 Susan improved my manoeuvres and corrected my bad habits and she was persistant to make sure I did it right. Susan is a great instructor overall and anyone who trains with her will pass. 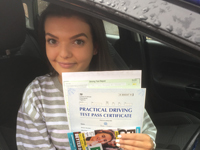 I passed first time.